Every year there is an influx of expatriates consisting of both skilled and unskilled workers entering Dubai to work or leaving Dubai after their working contracts ends. 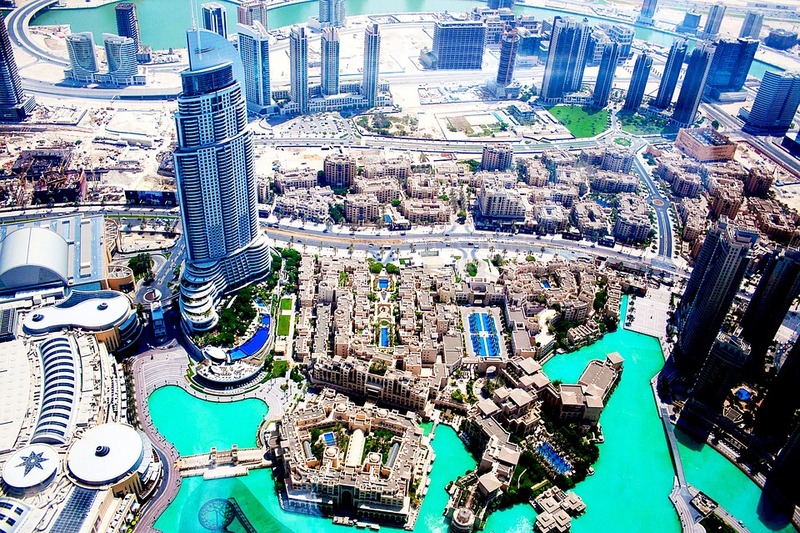 Dubai is a fast emerging global hotspot for travellers and expatriates. This is especially so as the economy has started to recover after having its economy affected by the economic downturn. Dubai has recently won the bid to host the World Expo 2020 and an estimated number of 2.5 million visitors, consisting mostly of expatriates are expected to pass enter the country during the six month long expo. There is an anticipated surge in the real estate, hotel and infrastructure industries to support the arrival of the expo. During the next few years prior to the expo, thousands of new job opportunities will attract both skill and unskilled workers to Dubai as the country gears up to host this much anticipated event. Dubai with its strategic location, is less than a four hour flight for almost half of the world’s population. It is also a convenient destination for expatriates from Asia, Europe, Australia and America. With the availability of various cheap flights from Dubai to London and other countries around the world, it is convenient for expatriates to travel back home to visit their families or for holidays in the neighbouring countries. UAE nationals and those holding a UAE passport enjoy heavily subsidized property purchase schemes, highly discounted rates on food items and groceries, free education for their children, and much cheaper utilities than expatriates. They also enjoy a high standard of living compared to many expatriates who live and work there. Many expatriates are deterred from buying houses in Dubai, knowing that once they reach retirement age, they will have to leave even though they have worked and have invested in the economy and have contributed actively to the betterment of the country. All these years, the government has resisted the pressure to open up citizenship to expatriates, fearing that it would dilute their Emirati culture and national identity. They do not want to put a huge strain on social welfare schemes that are primarily enjoyed by their local population, which makes up a small percentage of the total population of their country. Have you been bitten by the travel bug? One of the most popular ways to travel is on a boat cruise. In fact, more than 20 million people board some type of cruise ship every year. Options for cruising are almost limitless. You can choose from week-long cruises through the Mediterranean or island-hopping in the Caribbean. Closer to home, you can enjoy a romantic dinner or overnight cruise on a lake or river. Whether your vacation budget is large or small, there’s a boat cruise out there that’s perfect for you. Still not convinced? 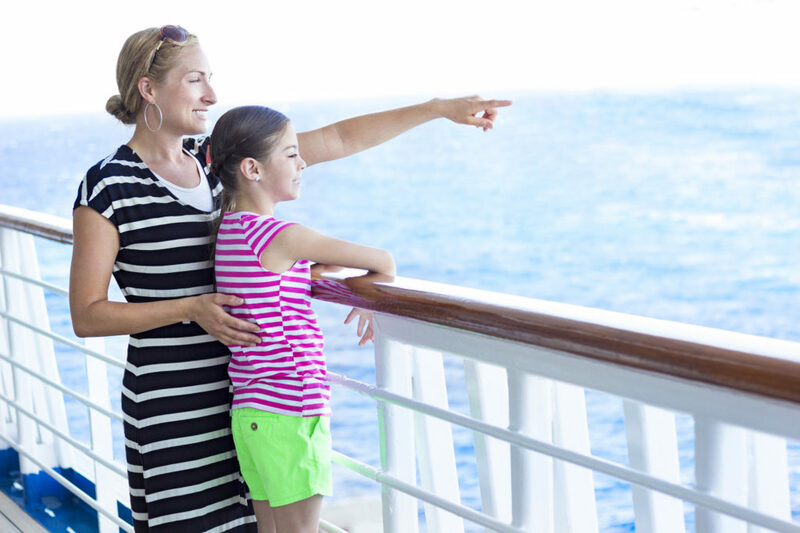 Read on for six compelling reasons to take your family on a fun-filled cruise this summer. A major reason for the continued popularity is the convenience factor. Think about it. You board the ship with all your luggage, check in to your “room,” and go to sleep in the same bed every night. And yet, every morning when you wake up, you’re in a new port, a new city, or a new island. If you tried to visit four different Caribbean islands by plane, think of the hassle involved in getting to and from airports and sleeping in four different hotels. With a cruise, you don’t have to worry about any of that. Simply board the ship and sit back and relax as it ferries you to your next exotic destination. Another terrific reason to take a boat cruise? You know exactly how much money you’ll spend, which make it budgeting a cinch. We all have a tendency to overspend on vacations. But with a cruise, you’ll know exactly how much you’re going to spend before you even set foot on the boat. Most cruise packages include your room, meals, and onboard activities. Depending on your budget, you can add on optional shore excursions to the price of your cruise. Some cruises may include alcoholic beverages and gratuities for staff, while others do not. Be sure to read the fine print for any cruise you’re considering so you know exactly what is–and isn’t–included. Gone are the days of drab cafeteria-style offerings on cruise ships. While you’re still likely to find 24-hour buffets and bars, most cruise companies have really kicked their cuisine into high gear. Even on budget cruises, expect the option of five-star dining rooms with a delicious menu selection. Many menus on cruises are inspired by the local cuisine of the destinations you’re visiting. Others have paired with celebrity chefs to ensure their offerings rival any you’d find on land. Worried you might gain weight on your cruise? You don’t have to. Wellness cruises offer seminars on active living, along with customized fitness programs and healthy meals. One thing is for certain: You’ll never be bored on a boat cruise. Let’s start with the onboard activities. During the day, you can enjoy pools, water slides, rock climbing walls, or dance classes. In the evening, enjoy Broadway-style performances, live music, or magic shows. Need some adult time? Drop off the kids for an endless array of supervised activities. They’ll have so much fun with their new friends they won’t want it to end. And all of this is just on your days at sea. What about when the ship docks at its next destination? Depending on where your cruise takes you, there’s almost no end to the choices that await you. In Europe, tour ancient ruins and explore hidden grottos. In the Caribbean, relax on a postcard-perfect beach or scuba dive with dolphins and sharks. If you visit Alaska or Antarctica, bundle up and get ready to trek across glaciers or watch whales breach. What if these faraway destinations are out of your reach? That’s okay too. There’s no reason you can’t enjoy a fabulous boat cruise closer to home. Read more here about champagne brunch, dinner, and special event cruises on Lake Minnetonka. One of the best things about being out on the water–whether it’s the ocean, a sea, or a lake–is the chance to disconnect from the outside world. Of course, all modern ships offer the option of connectivity. If you need to check your email or make a phone call, you certainly can. But why not take the opportunity to unplug, not only from your daily life but from your electronics as well? Leave the cell phone in your cabin and unwind on a lounge chair beneath a beautiful sunset. Spend some uninterrupted time with your family or friends. By disconnecting from your life onshore, you’ll have more of a chance to reconnect with nature and the people around you. When you take a boat cruise, you’ll find two types of people: those who want to do it all, and those who want to do nothing at all. The do-it-alls sign up for every class, every shore excursion, and every show. They make the most of their vacation by cramming in as many fun activities as time allows. The nothing-at-alls, on the other hand, spend their cruise unwinding from the stresses of life. You’ll see them relaxing by the pool all day or indulging in various spa treatments. Which camp do you fall into? It doesn’t matter. The point is: You can make your boat cruise whatever you want it to be! Ready for Your Summertime Boat Cruise? No matter where you decide to cruise–Alaska, the Caribbean, or a nearby lake–you’re sure to enjoy your time on the water. Looking for more helpful travel advice? Check out our latest blog posts for more inspiration. You only have so much space in your camping backpack, so you need to maks sure you pack the right stuff. Here are the top 10 essentials. Planning your next outdoor adventure? Before leaving home, make sure you pack everything you need. Having the necessary supplies will save you a lot of headaches and make your trip more exciting. Without a doubt, camping is a great way to enjoy the outdoors and spend quality time with your loved ones. Just like everything else, it takes planning. Whether you’re traveling alone or with your friends, there are some things you need to do before leaving home. A map, for instance, could save your life. You never know when the GPS stops working or your smartphone gets lost. With an actual map, it’s easier to find your way through the woods and explore the surroundings. The question is: what should your camping backpack look like? Do you really need all that stuff experts recommend? Let’s find out! First, choose a quality backpack that has enough room for your gear. Consider your destination and the length of your trip. If you’re only traveling for a day or so, a daypack will do the trick. For longer tips, choose an internal frame pack. These accessories range in volume from 15 liters to 55+ liters. 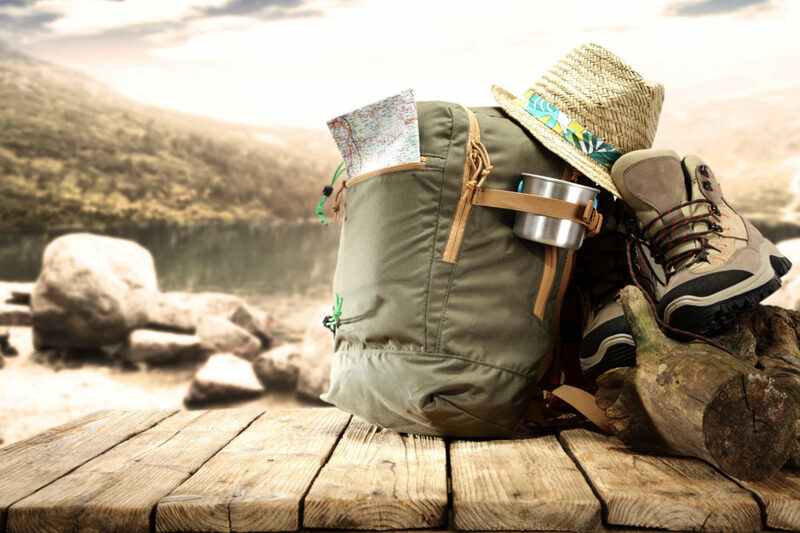 A backpack for two or three nights will require at least 45 liters. Besides volume, you must also consider the fabric, frame, pockets, padding, and attachment points. Ideally, select one made from waterproof materials. Make sure it has lockable zippers and multiple compartments. Certain features, such as a padded hip belt, padded back, and padded shoulder straps, will take pressure off your body and provide extra comfort. If you’re planning to sleep outdoors, pick a backpack with sleeping bag compartments. As a rule of thumb, keep your pack light. Don’t take anything with you unless it’s a must-have. The lighter your load, the faster you’ll walk and move around. Start with a tent, sleeping bag, and blankets. Another option is a sleeping pad. Eventually, you can also pack a headrest. These accessories will keep you warm and protect you from the elements. Plus, you’ll feel more comfortable during your trip. A map and compass are must-haves for your camping backpack. If you’re traveling in the mountains, consider using an altimeter too. Traveling with a group of friends? Two-way radios will make it easier to communicate. Pack a flashlight or a headlamp, and extra batteries. Look for compact, waterproof flashlights with laser lights. These models send signals that can be seen up to 20 miles at night. The human body can survive for 30 to 40 days without food, but only three or four days without water. Even the slightest dehydration can ruin your trip and make you sick. Every cell in your body needs water to function optimally. Your camping backpack should contain several water bottles. Choose one that’s leakproof and has double-wall vacuum insulation. Stainless steel bottles are better than plastic because they last longer and resist bacteria. Depending on your plans for the trip, you can either stick to canned foods and snacks – or take enough ingredients to cook a full meal. Camping snacks will curb hunger and boost your energy. They should consist of whole foods that nourish your body and can last for days. Homemade granola bars, protein bars, canned tuna, trail mixes, nuts, fruit leather, and peanut butter are all a great choice. Other healthy options include energy gels and electrolyte drinks. These treats will prevent dehydration and keep you energized all day long. When you’re out in the wild, anything can happen. Tick bites, for instance, can cause allergic reactions and even Lyme disease. If you or a loved gets bitten by a tick, you might be able to get to a Lyme disease clinic right away. Prevention is your best defense. Take a quality insect repellent that works against ticks. Don’t forget about sterile pads, gauze pads, bandages, and antibacterial ointment. If you suffer from allergies, pack antihistamine medications as well. Nowadays, most smartphones have a short battery life and won’t carry you through the day on a single charge. Extra batteries are a must for your camping backpack. Take a power bank and spare batteries for your mobile phone, radio, GPS, and other gadgets. This will ensure that you’re connected to the outside world and can easily call for help in case of emergency. When it comes to camping, layers are the absolute best. Pack your clothes according to the climate. Even if it’s warm and sunny during the day, the temperature can drop at night. Your camping backpack should include one or two T-shirts, an extra pair of jeans or shorts, socks, and sweaters. A rain jacket and a cap are essential. Don’t forget about underwear. Even if you’re not planning to spend the night outdoors, you still need a lighter or a fire starter. Matches can help too. Depending on your budget, opt for a basic lighter or one with extendable burner head that can be used upside down. Fire starters can be a lifesaver if you get lost or find yourself in a critical situation. Last, make sure you pack basic toiletries like a toothbrush and toothpaste, deodorant, and antibacterial soap. Sunscreen is a must-have. Take a few towels or wet wipes with you. Shampoo and conditioner are not necessary unless you’re planning a long trip. Now you have it – a complete camping checklist for you and your family! If you have enough room in your backpack, you can also take fun stuff like bats, balls, board games, or fishing gear. Planning your trip doesn’t have to be a chore. All you need are a few basic items to keep you safe and cozy. Pack your gear ahead of time to make sure you don’t forget anything. Use this handy list for inspiration. The right gear can take your outdoor adventure to a whole new level! Do you have any camping tips? Are there any must-have items you can’t travel without? Share your thoughts below! History is, inherently, fascinating. That is why taking the extra time to read up on the history of a country can make you appreciate it all the more. Every place has a history. Some histories are thousands of years old, some are only a few hundred or even a few years. The older the place, the more important it is that you read up and know what has gone on there in the past. If reading isn’t your style, there are also audio-books and documentaries, meaning that you’ll be able to learn before you go no matter your schedule and preferences. Though scheduling every part of your day is not advised, knowing your options is. Knowing the top places to go and having them saved on an offline map can mean that you can create a custom itinerary as the day goes on, without missing the top destinations in the area. This also keeps you open for spontaneous decisions and adventures. It’s a great way to plan, without over planning. Every culture has its rules, and every country has its laws, which is why you need to know them and be respectful of them. That is why you should generally read up on these cultural and legal rules that you should follow, or else face the consequences. This might seem obvious, but some common behaviors we do at home can be illegal in other countries. Know what is different before you go to ensure you continue to have a great time. The best souvenirs are the ones that not only support local artists and the locals in general, but also holds meaning and value. For instance, if you visit Italy, bypass the cheap Pisa tower keychains and instead pick up a bottle of wine from a vineyard. You could even purchase a crate of investment bottles, where if you wait for it to mature, it will become one of the best bottles you have ever tasted. However, ensure your bottle does not spoil after you bring it back home by storing it within the Octavian Vaults, a luxury wine storage facility, and in a few decades, you’ll have a beautiful bottle of wine to celebrate with. If you enjoy brining back bottles of wine from your travels, by storing them properly, this can even become a unique and profitable investment opportunity. Forget the selfies and focus on taking photos of where you are, who you see, what you do, and the friends you make. Having more photos of yourself won’t help you remember, but focusing on capturing your experience will. Travel is a wonderful thing, and when you can travel, you need to make the most of it. Making the most of it means having better memories to carry with you, and having an even better time. The Grand Canyon extends a whopping 445 kilometers with a width of 29 forming a giant scar-like structure in the heart of Arizona. Tourists from the United States and around the globe head to marvel at this natural wonder of layered rocks that recent studies believe to be almost 70 million years old. Both the North Rim and South Rim are the major tourist spots inside the Grand Canyon. Because of its colossal size, driving is the only way tourists can visit. The South Rim is about two hours away from Arizona and is more accessible of the two regions and gets more tourists. People who want to get away from the crowds can drive to the North Rim, which could involve several hours of driving. Grand Canyon West, or the West Rim, is another section outside of the National Park itself and is closer to reach from Las Vegas. 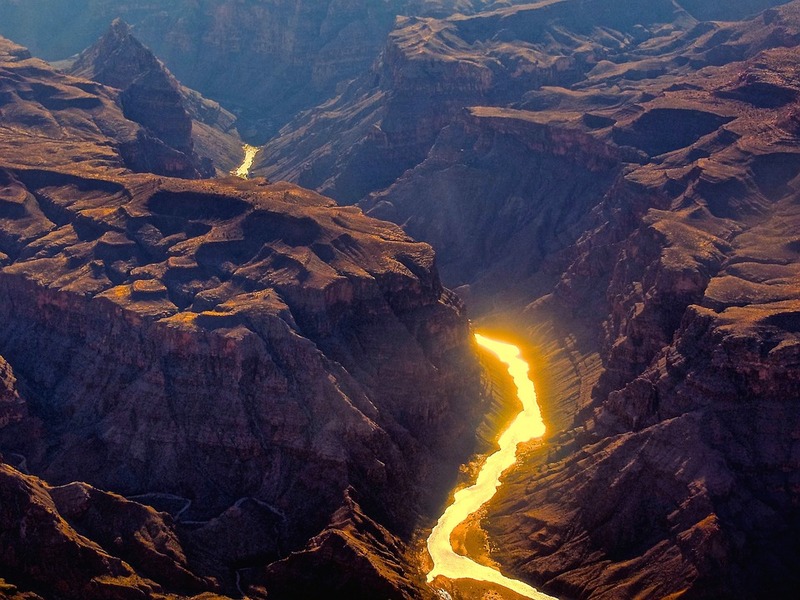 What are the Best Things to Do at the Grand Canyon? Typical activities include hiking, horseback riding, camping, visiting some of the Native Indian Settlements or even testing your nerve on the Grand Canyon Skywalk on the West Rim. A number of underground caves make for an adventurous day. Some tourists like to see the Grand Canyon from a helicopter or by taking a railway tour through the region. Many of the 5 million annual tourists only hang around the day and head back to Arizona in the afternoon. The more daring ones hike through the canyon itself and camp overnight. Visiting the nearby Arizonan towns of Flagstaff, Williams, and Tusayan to get a glimpse back into the old world of the Wild West is also a fun activity. One of the prettiest attractions within the Grand Canyon is Havasu Falls, a 30 meter, single shoot waterfall pouring blue-green water over the rugged rocks into the pools below. But, it’s no easy task to get to it. Anticipate a grueling 16-kilometer trek across unforgiving terrain without access to water and go deep into the Havusa Canyon. Trails are tough, dusty, and very hot. Hikers need to take their own supplies including an ample supply of water as nothing is available until you reach an American Indian village called Supai. Expect the journey to take anywhere between five and eight hours to reach Havasu Falls. Many hikers camp overnight at Supai and return the following morning. More overnight accommodation inside the Grand Canyon is around the South Rim and includes camping grounds, hotels, and lodgings. Others are available on both the North Rim and West Rim but may need a booking well in advance to secure a spot. Visitors looking for a place with more restaurants and a bit of a nightlife may choose to stay in one of the nearby towns such as Flagstaff or Sedona. Now that you know the essentials of planning a trip to the Grand Canyon, why not go ahead and fulfil a dream of seeing this amazing natural wonder? There are so many travel tips you can turn to if you’re looking for ways to make traveling easier and more enjoyable. The last two Travel Tips articles I shared on this site, for example, help you travel with kids without the usual extra hassle. 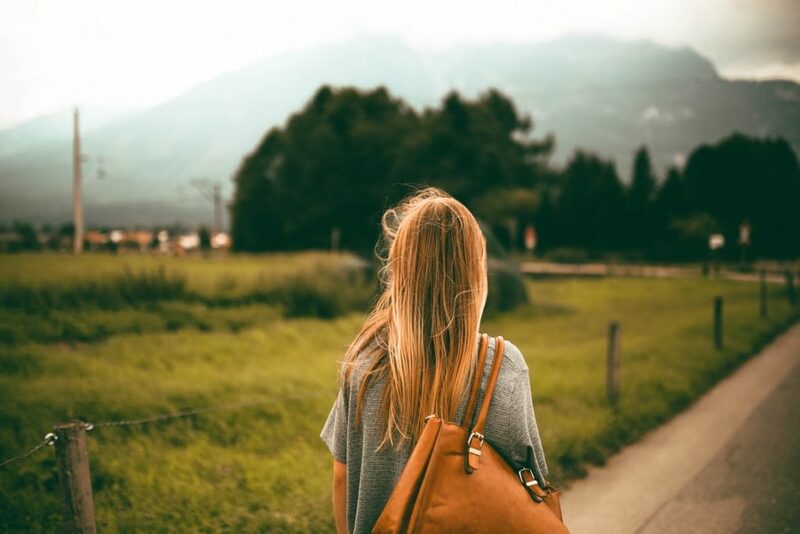 Nevertheless, traveling can still feel cumbersome, especially if you have to do it often (and trips are not always for fun). Over the years, I’ve collected travel tips and secrets that make traveling easier. I’m going to share some of those secrets in this article. I was talking to a friend who just completed a project and program management degree from Brandeis University a couple of years ago and he said something very interesting. Every part of our lives – including traveling – can be treated as small projects waiting to be tackled. He also shared project management tips he acquired from the online MSMPP program and they work great for travelers. First of all, the success of your project (the trip you’re taking) depends mostly on careful planning. The better you plan for the trip, the easier it will become. You don’t have to get every detail correct; you can leave room for some spontaneous activities in your travel plan. The basics, however, can be handled better when you plan ahead. The same can be said for your travel expenses. Set a budget, even when you’re going on a short holiday or a weekend getaway. The budget will act as your measuring stick, allowing you to spend the right amount of money and make adjustments as you go along. It will also stop you from making those impulsive purchases you will only regret once the trip is over. Speaking of budgeting for trips, it is easy to get tempted by lucrative deals and cheap prices; they’re great and they do make traveling more affordable. However, you should never sacrifice quality in exchange for a small discount. In fact, your deal-hunting focus should be to find the best deals on good travel amenities. Let’s say you go for a slightly more expensive but more reliable flight. 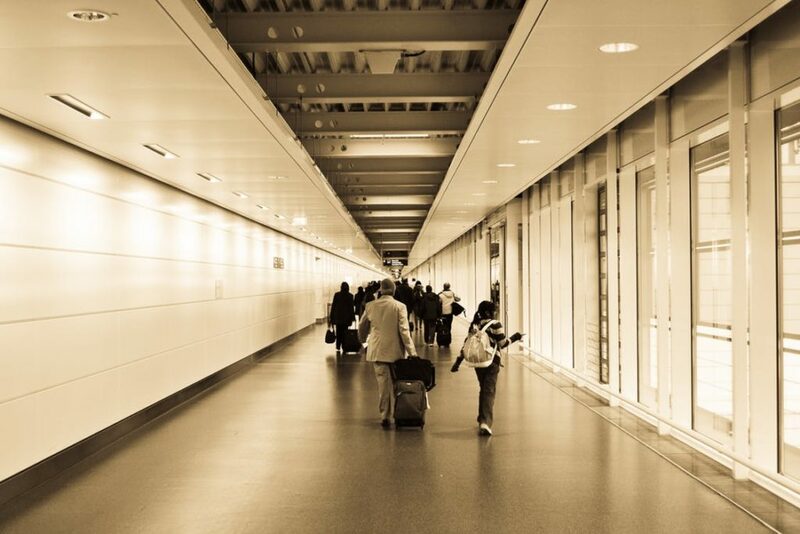 You can avoid dealing with delays and other frustrating things that make traveling less fun. That’s worth spending an extra few dollars, isn’t it? This is a routine I’ve been using for a while. Before the actual trip, visualize taking the trip step by step. Imagine going to the airport, going through security, boarding the plane, arriving at the destination, and so on. Visualizing lets you discover potential issues that you may face along the way. It also lets you solve those issues beforehand, which means the entire trip will be even more enjoyable. Don’t skip the details. Trust me, it’s a fun and fruitful thing to do before a trip. Sure, there will still be issues here and there, but you are ready for them now that you have these secrets we just discussed in this article. Use them and you’ll be surprised by how much easier traveling is. Gambling is as old as time itself. Dice made from human ankle bones have been found in China, dating back to around 2500BC. The Egyptian pyramids had gambling tools inside them. Two Scandinavian Kings are said to have avoided war by placing a bet. Card games have been around for hundreds of years, traveling through the continents. And the roulette was invented in 18th century France. Yet, for a very long time, gambling has been seen as a vice and a sin. This happened mainly when the Americas became colonized, and deeply religious people saw any enjoyable activities as temptations from the devil. Wild West saloons openly promoted poker and other gambling games, but this often had deadly consequences. People found to be cheating would be hung, and A Quick Look at Biorobotics and How it Can Help Make People&#8217;s Lives Easierpeople who weren’t happy with the outcome of their games were known to grab their pistols and start shooting. Suddenly, gambling was no longer publicly allowed. Naturally, this didn’t stop it from happening. Rather, it sent it underground. Just as with the Prohibition, it quickly became clear that banning something didn’t make it go away. Rather, it made it more dangerous as an illegal activity. Hence, new rules were formed, when there was a greater understanding of the fact that gambling is something people simply do. America was behind this compared to the rest of the world, as the royal family of Monaco had long since legalized it, attracting some of the wealthiest people in the world. This continues to this day. The casino hotel resorts we know today are a reasonably new development. Not long ago, only very few areas were allowed to have public gambling facilities, most notably Las Vegas, NV. Reno and Atlantic City quickly followed. After this, Indian casinos were opened, as they sit outside of the law. Today, so long as proper licensing laws are followed, hotel casino resorts are allowed in many different places, including in California. The Bicycle Casino Hotel, also known as The Bike, is found in Southern California. The owners have thought of every detail, setting the establishment up as a role model for many others. They have thought of every detail, ensuring that their guests, whether they are using the casino or not, are comfortable and have every convenience they could image. The rooms are luxurious, valet parking is included as standard, and there is even a shoe shining service on site. And within the casino, people can enjoy chair massages as they play, and even head on outside into Freedom Court for a cigarette and continue to play their favorite games. Today’s casino hotels cater to people of any background, ensuring they can feel like the wealthiest person on earth for the duration of their stay. 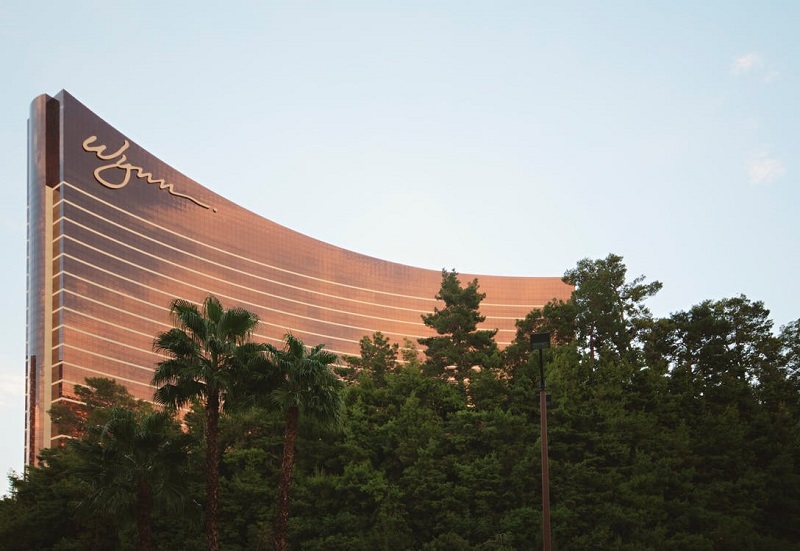 Naturally, the hotels hope that people also want to enter the casino and spend their money, but the focus is far more on comfort, happiness, and the overall experience as a whole. If you are looking for a vacation with a difference, then this might be something to consider. We all need to be able to manage our money wisely and when you travel, you get plenty of opportunities to improve your financial management skills. These skills will benefit you when you return home and they can be developed in the following ways. If you intend to travel for a while, you should consider enrolling in an online course like the online masters of accounting program that is designed to increase your financial knowledge and develop your financial management skills. More masters degree in accounting online courses than ever before are being offered by leading colleges and universities, so these courses are recognized by most employers. This means that once you have completed the course, your services will be in-demand or you could eventually work for yourself in the financial services sector. Haggling and trying to find a bargain are two of the most important money-related skills you need to master. The more you develop these skills, the more money you will keep in your pocket while you travel and in your everyday life. While you’re away from home, you will get plenty of opportunities to put your haggling and bargaining skills into practice. The people you haggle and bargain with along the way will also show you how they have mastered the art of selling, which is also an invaluable skill to have. All leading financial professionals look to the future and are great planners. You should take the same approach before you leave home and develop a plan that will account for expenses and the money you will spend while you’re traveling. This is an important exercise and it will ensure that you stay more disciplined whenever it comes to the money you spend in the future. If you have a finance-related qualification or you are in the process of obtaining one, there’s no reason why you can’t start to offer your services to other people while you’re on the move. The internet and the emergence of a wide range of outsourcing websites mean it’s never been as easy to put your financial skills and knowledge to the test and learn new ways to improve these skills. While you travel, you will meet a lot of people along the way. You will probably also interact with many different people over the internet. If possible, you should look for ways to leverage these relationships, especially if you meet fellow financial professionals. These people could become important and useful contacts who may be able to give you important financial advice and tips, which could prove to be important at a later date. Traveling should be an enjoyable experience. It can also be an excellent way to learn more about managing your finances and improving your financial management skills. You can do this by following the tips above. A ski vacation is one of the most memorable and enjoyable holiday types available. Whether you are traveling with your family, friends or as a couple, enjoying that fresh mountain air while traversing the snow is one of life’s best feelings. That is, if you have planned everything correctly setting off on your ski adventure. You see, as wonderful as a ski vacation is on the surface, it requires plenty of strategy and logistics to get right. If you are hit with stress and planning issues, that mountain air won’t feel so fresh, and that snow will not have the same welcoming feeling. To avoid such problems, read on for five tips on how to plan for a fantastic ski vacation. Picture this: you are suited and booted, you’ve climbed all the way up the hill, and then you realize you left your goggles behind. Not just behind in your lodge, but all the way back home. It might seem inconceivable, but this sort of thing has been very much a reality for plenty of people. To try and avoid this, it is recommended that you create a checklist for all of the gear that you plan to take on your vacation. Gloves, jackets, skis, boots, sunscreen and so on – there are many things to remember. If you do forget anything, however, thankfully most rental shops will be able to provide what you’re missing. This is an obvious one, but you have to decide on a destination that will match the needs and budget you require. There are plenty of places to choose from across the world, but one hidden gem is Snowmass. 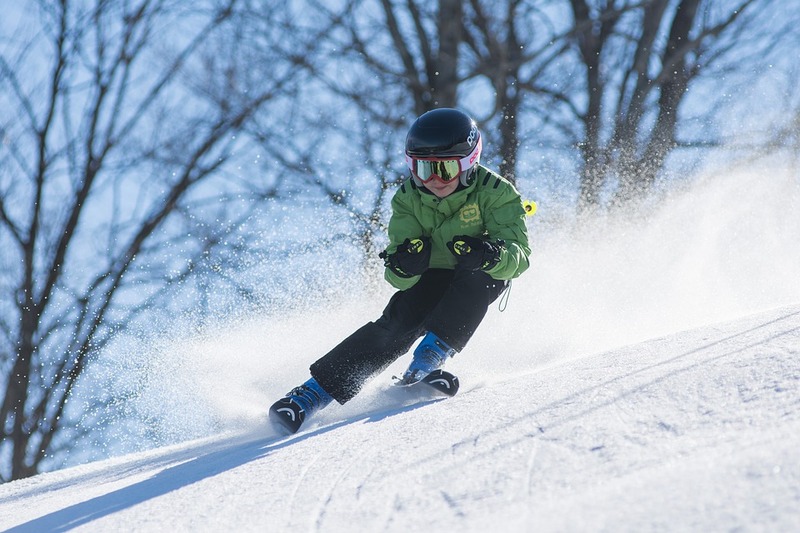 This recommended destination has ideal skiing conditions – along with other enticing attractions – and you can find suitable accommodation easily via SnowmassVacations.com. Even if you’re trying to stick to the tightest budget possible, you have to understand that a ski vacation will require a hefty outlay of your cash. There are methods to help keep costs down when possible, such as planning out your budget beforehand and booking the likes of lift tickets online in advance. Spending extensive time out in the snow means wearing six-seven layers, right? Well, that isn’t necessarily the case – in fact, you should absolutely make a note of the weather schedule before getting dressed for your daily activities. Although no matter what you decide to wear, the main aim should be to stay dry. Go for moisture-repelling materials when it comes to the outer layer. As rush hour times for getting to a ski resort will usually be between 9 and 10 am, it is advised that you set off early. That way, you won’t have to fight for a parking space and can enjoy the slopes before they get busy. Alternatively, you can avoid the rush hour by going out later. It might mean you will have less time to fit in all the activities you had planned, but finding a parking spot will be easier as people will have begun leaving. As you probably already know, Mont-Tremblant in Quebec offers some of the best skiing in the world! But this beautiful area of Canada has so much more to offer. If you are planning a trip here or you would just like to learn more about the area, pay close attention to the information below. 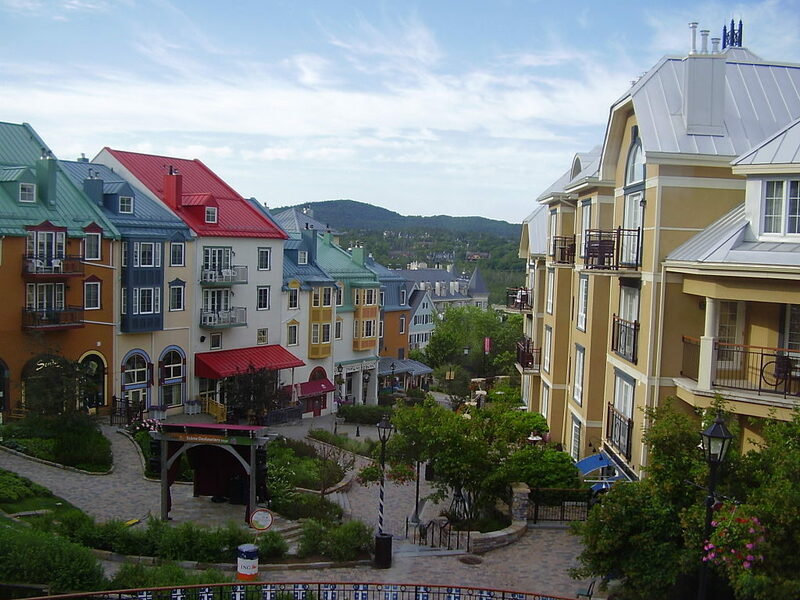 When you stay in Mont-Tremblant, Quebec overnight, there are many wonderful accommodation options available to you. The area has some of the finest condos and townhouses in all of the country, so finding a place to rest your tired bones after a day on the slopes won’t be hard. In fact, this site can help you find the perfect place to call home while you are in this winter wonderland. Even if you decide to visit the area when it is warm, you will still find great places to stay at affordable rates. So, if you are thinking of spending some time here with your family, why not book your condo or townhouse early? These units get booked quickly during the peak season. If you simply love to fish, then Mont-Tremblant is the perfect place for you! Here you will find a large selection of fish to catch and many different ways to catch fish all year long. During the spring and summer, you can try your hand at fly fishing. When winter comes, the area’s lakes will freeze over and you can get in some ice fishing with the locals. But no matter what style of fishing you like, you will have a wonderful time. There are two major lakes in the area so finding a place to drop your line won’t be difficult. But remember to always follow the rules and tread lightly in the wilderness. Another wonderful outdoor activity that is on offer here is hiking. There are many different trails in the area for you to enjoy no matter what your level of fitness is. If you would like to go on an easy day hike, you can find a trail to fit your needs. Maybe you want to challenge yourself? If so, you will be happy to find many demanding trails up and down the mountain. But remember, no matter what type of hiking you enjoy, always be safe and take along someone with you. Before you leave for the trail, tell someone where you are going and when you expect to return. This will help protect you in case there is an emergency. Most of all, make sure that you enjoy the scenery and bring a camera along to take some amazing photos of your journey. These are just a few reasons why so many people flock to this area of Canada. Not only is this place naturally beautiful, there are also amazing places to stay while you are here. Remember, there are many different things you can do here and skiing is just one of them. So, if you want to have an adventure this year, why not head on up to Mont-Tremblant in Quebec?